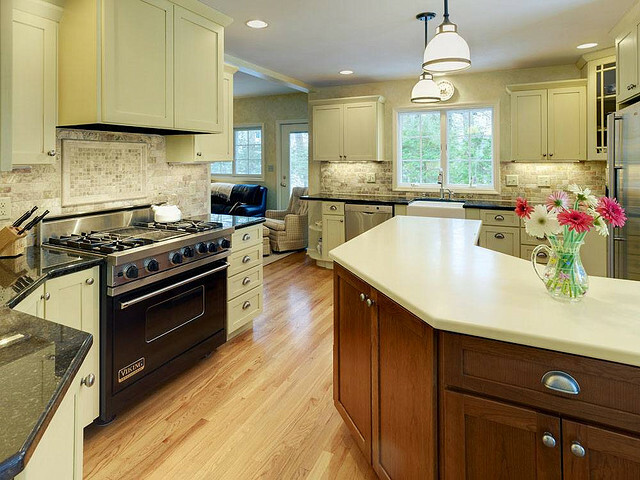 In many luxury homes, high end kitchen appliances are the standard. But increasingly, regular home owners are interested in the features, durability, and style offered by top of the line kitchen appliances. Performance ranges, coffee shop level espresso machines, even zone cooled wine refrigerators are highly sought after items for every kitchen. There’s no doubt that high end kitchen appliances are appealing. These masterful kitchen tools go above and beyond the simple functions of regular appliances. They offer features like wireless controls from your smartphone, new cooking technologies, soft close doors, ultra premium displays, superior quietness, and a higher level of performance. Read on to learn more about the high end, high performance kitchen appliances available on the market today. And of course, keep in mind that it’s always a smart idea to protect your investment in luxury appliances with a fully featured home warranty, which makes it easy and affordable to repair or replace your appliances if anything goes wrong. Sub-Zero refrigerators: Known for its integrated, built in look and performance in luxury kitchens, the Sub-Zero refrigerator is well known among high end kitchen appliances. This refrigerator offers great looks and superior temperature control. It also has dual evaporators that help maintain freshness. Wolf ranges: Professional style Wolf ranges have trademark red knobs and excellent features including continuous cast iron grates, dual stacked burners, and a convection oven. Thermador induction cook tops: With Thermador induction cook tops, you can put your pot or pan anywhere on its electromagnetic surface. The cook top will transfer your programmed setting to any spot you move your cookware to. There is also a full color touch screen induction panel. Viking ranges: One of the highest recommended luxury ranges, Viking’s range line includes the best ranges for gas, new induction cook tops, French-door double ovens, high capacity range ovens, speed cook double ovens, and distinctive design. Bosch dual fuel range and ovens: Want the best of both worlds? Bosch dual fuel ranges feature gas burners and electric ovens. Bertazzoni ranges: Ranges in the Bertazzoni professional series are known for their striking looks and large capacity. Many feature six burners and double ovens that can capably handle any event or dinner party. Some include gas and convection ovens. GE wall ovens: Wall ovens in the GE Cafe series with French doors really stand out. They offer excellent capacity, one handed opening, and wireless smartphone controls. Bosch induction cook tops: The Bosch induction cook top combines two cooking zones to fit large pans, and with the AutoChef feature, you can get consistent cooking temperatures. Jenn-Air wireless wall oven: Jenn-Air’s new line of ovens can be controlled with your smart phone on a fully functioning mobile app. The oven also has a Culinary Center, featuring recipes with temperature and time control. Bosch combination wall ovens: Offering both steam and convection oven technologies, the Bosch combination wall oven opens up a number of cooking possibilities. Bosch ventilation hoods: Bosch offers wall hoods, pull out hoots, island hoods, even elegant retracting hoods that disappear into the counter top when you’re done with them. Miele dishwashers: In Miele’s Diamond Series washers, you’ll find both excellent washing performance and energy efficiency. The dishwasher also features LED interior lights, helpful displays, and a soft close door. Bosch dishwashers: Bosch dishwashers are the quietest dishwasher brand available, and with available third racks, you can get up to 30% more loading capacity than a regular dishwasher. Bosch warming drawers: Designed as an accompaniment to an oven, Bosch warming drawers keep meals hot and ready to serve. They install under a Bosch oven and match built in products. Jenn-Air trash compactor: Jenn-Air’s high end trash compactors reduce trash volume by up to 80%. Custom panels and several available finishes make this a beautiful, highly functional addition to any kitchen. Vinotemp wine chillers: More than just a refrigerator, a Vinotemp wine chiller will keep your wine at a uniform and stable temperature and humidity level. You can also choose dual zone settings to store both red and white at ideal settings. Dacor wine station: The Dacor Discovery Wine Station is every wine lover’s dream: an automated dispensing and preservation system for up to four bottles. This system puts wine on tap at the perfect temperature. You can select just the right amount from up to four different bottles in this wall mounted wine system. KitchenAid professional stand mixers: KitchenAid is famous for its stand mixer, and steps it up a notch with its Professional 6500 Design Series stand mixer. It features a glass bowl, excellent performance, and multiple optional attachments including a meat grinder and pasta maker. Vitamix blenders: Considered the gold standard in blenders, the Vitamix can take on anything including smoothies and juicing whole fruits. Bosch food processors: Bosch’s Universal Plus food processor tackles the job of multiple kitchen gadgets. It blends, chops, mixes, beats, and more, all capably and lightning fast. Wolf coffee systems: Instead of running out to the coffee shop, you can create the perfect cup at home with a built in coffee appliance from Wolf. La Marzocco espresso machines: Get your espresso from the same machine the pros use with the La Marzocco espresso machine. This machine has software to control brewing time and volume, as well as a horizontal boiler. Scotsman home ice machines: Ice itself is a modern luxury, but Scotsman home ice machines take it to the next level. These machines make ice for purists with slow melting or chewable ice for every occasion.